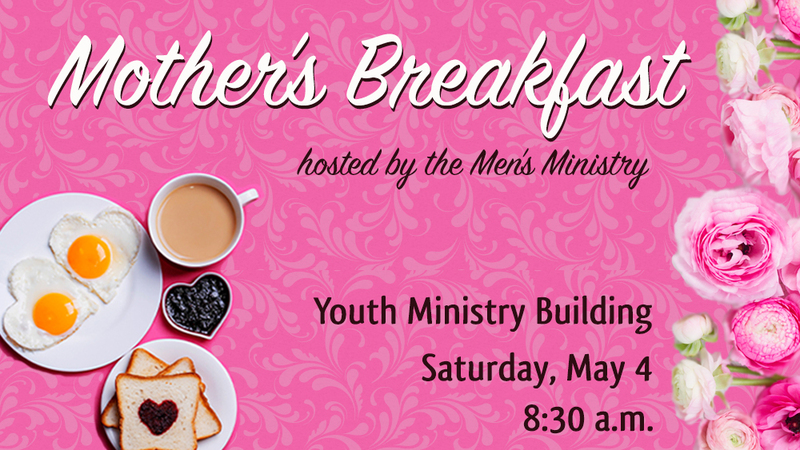 The Men’s Ministry is hosting a special breakfast in honor of Mother’s Day! All Moms are invited to join us Saturday, May 4 at 8:30 a.m. in the Youth Ministry Building. This is a free event for adults only. Childcare will not be provided. Please sign up below so that we may know how many Moms to prepare for.